Don't build muscle slowly...do it fast! These clever training techniques will help you build lean muscle at double-quick speed. It's easier than you think when you know how. So you want to gain lean muscle and you want to gain it fast. You’re following a proper diet and getting enough rest, but you are gaining lean mass slowly…and want to speed up the process. If this is you, here are 10 training tips to build lean muscle faster. Choose the right exercises to accelerate your muscle growth. 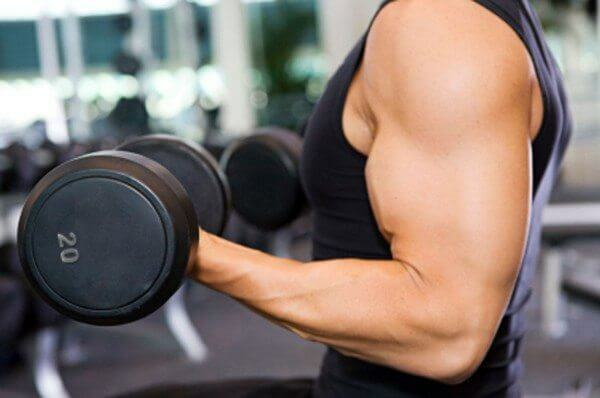 If you are looking to gain muscle as quickly as possible, you need to be doing lots of compound exercises. Deadlifts, squats, bench presses, and shoulder presses are all exercises that work lots of muscle groups at one time. The deadlift works 11 different muscles in the lower and upper body. Squats work your leg muscles and your back and abdominal muscles are used as stabilizers. When you continually incorporate more muscles with one exercise, your body is forced to increase more lean mass overall. Although resistance machines have their place, the best way to gain lean muscle fast is by using free weights. Free weights force your body to do the work while resistance machines assist you with levers and pulleys. You can also target specific muscles with free weights (barbells, dumbbells, kettlebells), or just focus on multi-joint exercises to gain lean mass faster. Your options are endless. In order to gain lean mass quickly, your form must be perfect. You have to know how to correctly work out muscles if you want them to grow. You can watch videos, ask a personal trainer or a workout partner to help check out your form to ensure you are executing the exercises correctly. While you need to work out often, you must avoid overtraining, which can set you back in your program. Overtraining results in a cessation of lean mass gains and a host of other physical problems. If you are constantly tired and getting sick, then you might be overtraining and you need to decrease your workout frequency to give your body time to recover. The recommended rep range for lean muscle gain is usually between eight and 12 reps per set. This is great if you are still gaining lean muscle, but if you aren’t gaining lean muscle try a different tactic. Try increasing the weight and aiming for four to seven reps per set. This will make your body work harder and it’s sure to increase lean muscle. Doing the same workout routine for weeks and months will eventually halt your muscle gains. Your body is adaptive and will learn to execute those same exercises while using less energy. You will start to use the lean mass you already have without adding more muscle. So you need to lift progressively heavier weights. Or lift lighter weights with more volume. Whatever you’re doing, do something different and your body will have to adapt again and this will increase your lean mass. If motivation is a problem or you fear going heavy because you might injure yourself, get a workout partner. Your workout partner can motivate you to lift heavier or more frequently and he can spot you and vice versa. You can challenge each other to see who can do the most reps per set or who can lift the heaviest weight. It will be fun and you will push each other to gain more lean muscle. Perhaps the problem lies in the gym you go to and not your ability to gain lean muscle. A gym with fully functioning equipment, trainers that are accessible to answer questions and other amenities like saunas and steam rooms may be what you need to help you build muscle faster. The last and perhaps most important tips revolve around your mindset. You have to believe that you can increase lean muscle. You have to see it in your mind and then make it happen. Your mind is your most powerful training tool. Use your mind to build lean muscle faster and it will be so. You can easily build lean muscle faster by following the tips listed above. Gaining lean mass is mostly about change, understanding your body and using your mind to break free of all imagined physical limits. If you want to gain lean muscle fast and achieve a real body transformation, just make some changes and do it.